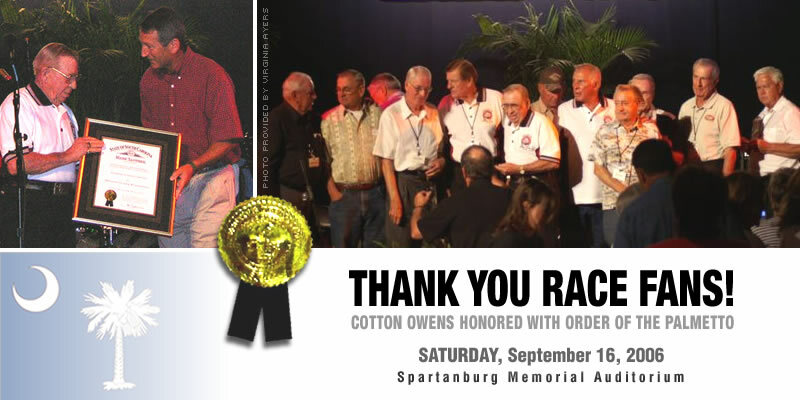 Racing fans poured into the Spartanburg Memorial Auditorium on Saturday to honor a local racing legend, Cotton Owens. 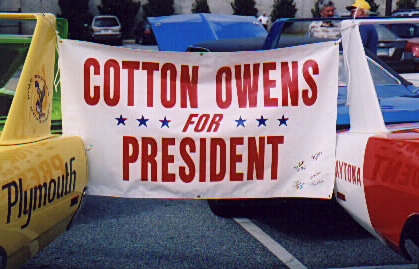 Owens has been recognized in the past for his roles as a NASCAR driver, mechanic and owner. 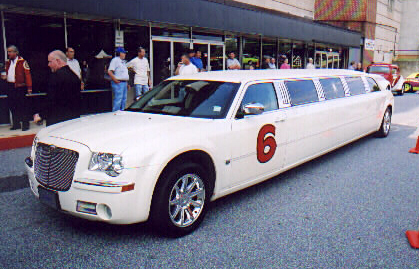 He is a member of the NASCAR Mechanics Hall of Fame and was named one of NASCAR's 50 Greatest Drivers in 1998. As a car owner and driver, Owens collected 41 wins and 38 poles in 487 races. But Saturday was a day for him to be recognized by Spartanburg. The 82-year-old Owens knew he'd be joined by some old racing buddies along with his family and friends. Its not known if he expected the nearly 2,000+ persons that showed up. The most enjoyable part of the celebration, for Cotton and his fans, was billed as Cotton Tales. This saw Cotton given a seat of honor, a white rocking chair, at center stage. He sat there and listened to the likes of Walter Bud Moore, Dink Widenhouse, Glen Wood, Marvin Panch, Ray Fox, Rex White, David Pearson, Chargin' Charlie Glotzbach, Paul Lewis, Gentleman Ned Jarret, Junior Johnson and Junie Donlavy regale the crowd with tales of old time racing and of the man himself. Some of the tales pointed out his style of driving, some pointed up the quality of the man. All the tales recalled a by gone era when these men raced more for the fun of it than for the dollars that could be made. Wood recalled Owens in the early days. "I remember seeing Cotton in forty-six, just this little yella-headed boy could hardly see out the windshield. I wondered how he drove as well as he did." Widenhouse recalled, "Cotton never wrecked anyone on purpose. That's a good record. I hadn't even got that. I did run over one car absolutely on purpose," he said. Most of the tales spoke to the quality of the man. Fox said, "Cotton you have done a wonderful job. Look at all these people out here. This is great, great, great. What a fine person and I thank him." Widenhouse echoed the sentiment saying, Cotton had an impact on many lives, spreading his arms wide, just look around here. White continued that theme when he said, I never heard nobody talk bad about Cotton. He's a great credit to the community and to racing. He helped me and a lot of people in racing. Panch also praised Cotton because he took me under his wing and showed me the ropes and helped me out. He told those gathered, Cotton has been a first class gentleman, not only in racing, but personally. Pearson recalled going to the fairground as a kid and climbing a tree to watch Cotton run. "When I seen him out there just riding around and winning a race I said, I can do that!" he said to laughter from the crowd. Of course he did do that and managed to win the Grand National Championship along with 26 other wins while racing for Cotton for five years. Lewis said, "It's a great honor and a privilege to be sitting here with these people, this is racing history here. This is the backbone of what NASCAR is today." Jarett thanked Cotton for what youve done for the sport of auto racing and the community. When Cotton pointed out that Jarett beat him in his final race, Jarret said with a smile, "If I had known it would be your last race I would've eased off." Following the ceremony Dot Owens, Cotton's wife, was sitting with a smile on her face. She said, "It was a wonderful event. I want to thank Spartanburg." She was asked about life with Cotton during the height of his career. "Sometimes it was difficult but he loved it so and he enjoyed it. So I did too," she said. Cotton ended the day by saying the event was something you dream about but you don't expect it to happen. When asked how it felt to see such a large turnout, he said, "It's wonderful feeling knowing you got that kind of friends."